1880's-1910's "N," "T" and "E" Grab Bag Collection (22). 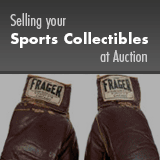 Offered is a 22-card selection of 90 to 120 year old collectibles. Includes: 1887 N2 Allen & Ginter "American Indian Chiefs" (5) - w/Big Bear, Black Hawk, Chief Joseph, Hairy Bear (skinned) and True Eagle; 1888 N20 Allen & Ginter "Prize & Game Chickens" (3) - w/Japanese Bantam, Silky Hen and Silver-Spangled Polish; 1887 N28 Allen & Ginter "World's Champions" (4) - w/Bauer, Beach, Bubear and Sexton; 1888 N29 Allen & Ginter "World's Champions" (1) - Queckberner; 1910 E17 Breisch-Williams "Flags" (6) - w/Chili, Egypt, Nicaragua, Paraguay, Persia and Sweden; 1910 E15 American Caramel "Flag Caramels" (1) - Switzerland (GD/VG); Circa 1910 Fry's Chocolate "National Flags" (1) - Britain (trimmed); 1900 T177 "Flags on Dominos" (1) - Belgium (GD). Unless noted, cards grade POOR to VERY POOR.